I visited a grocery store last evening to pick some rice. The aisle had over 50 varieties with different properties and health benefits. To my surprise their in-house label had replaced my regular brand. On top of that, it was offered at a 50% discount as an introductory offer. I came back and ordered my regular brand from an online store instead. During a visit to a microbrewery, my friend spent 5 minutes to decide what to order from the menu card. He ended up taking the server’s advice instead. He said the items mentioned were too complicated to understand. We had a great evening: food, music, ambience and drink. I realized I was repeating the same pattern while ordering my coffee. I have now begun asking for black coffee or cold brew without checking the menu. I was curious on what was going on with the menu at these cafes and bars. My hotelier friend explained this secret. Most of the customers are busy chatting with friends or checking their phones. If the menu is cryptic, they will ask for the server’s advice. The server will in turn recommend the costliest item on the menu and the customers will end up ordering it. In simple words, I was getting screwed. I was paying the price for not being aware and conscious. Blaming the difficult menu, urge of checking phones or chatting with friends is of no help. Everyday we have to make a lot of decisions big and small – what TV series to watch? where to eat? what to order? what to cook? and whom to meet? This constant activity of making these many decisions takes a toll on our brains. Scientists call it “Decision Paralysis”. Remember this the next time you are eating out or ordering online. Being aware will save you some money and sanity. 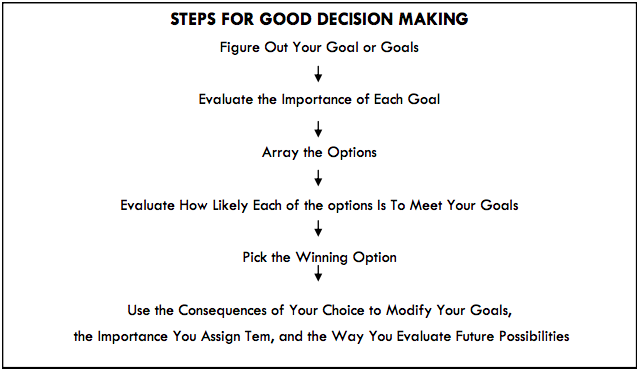 Barry Schwartz has written a research paper on decision paralysis.